There is nothing more terrifying than losing your furry loved one, especially when you have taken all the necessary precautions to keep them safe. 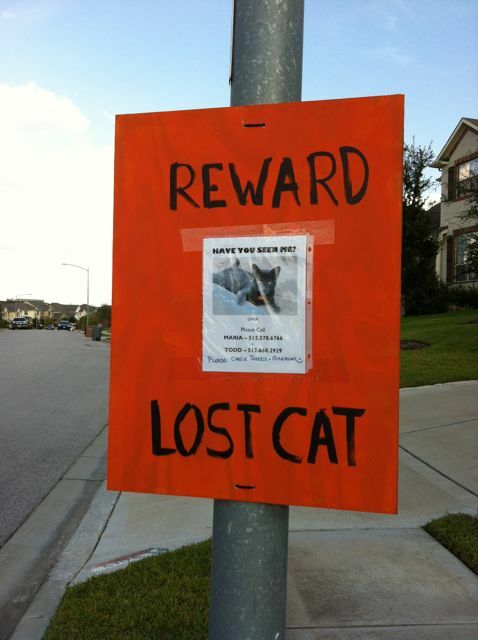 If you find yourself in this situation, one of the best tools out there is the good old-fashioned lost pet poster. In a previous blog post, we shared recommendations for how to take immediate action once you realize your pet is missing to spread the word in your community. The first step is to not panic – Although we know this can be tough to do when your favorite four-legged family member is missing, it’s important to keep calm so you can think clearly. 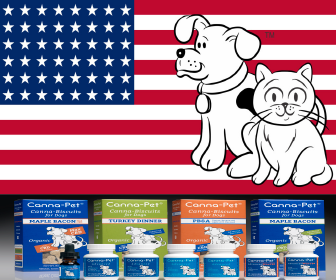 With a cool head and a determined heart, we know your next priority will be to focus on the search for your missing pet. 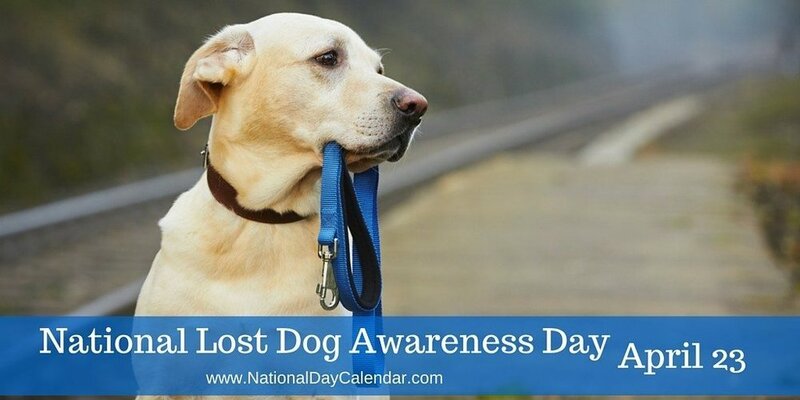 And because today is National Lost Dog Awareness Day, we talked to professional pet detective and Missing Pet Partnership founder Kat Albrecht to learn how to create the most effective missing pet poster imaginable. PawBoost makes you a free printable flyer ideal for handing out to neighbors and posting on bulletin boards at local businesses. But if you want an even higher impact sign – one that can be noticed and read from inside a speeding car – consider making posters as well. Read on to learn how. According to Albrecht, knowing the rule of “FIVE + FIVE + FIFTY-FIVE” is your guidepost for creating successful missing pet posters. Never heard of the FIVE + FIVE + FIFTY-FIVE rule? It’s a pretty handy formula created by the team at Missing Pet Partnership: At a typical intersection, you have only five seconds and five words to get your message across to drivers who are passing through the area (at 55 mph) where your pet is missing. 1. Use Large Poster Board and Lettering: Plan to purchase a poster that is large enough for drivers to see (and ultimately read) from far distances when in their cars. Missing Pet Partnership recommends selecting from standard poster sizes 22” x 28” or larger and printing letters that are at least 5” in height. 2. Use Fluorescent Colors: When purchasing your poster board, choose a neon color that will best capture drivers’ eyes and attentions at a distance and will encourage them read the words as they get closer. “When people switch from using a small white piece of paper to using a large neon poster, they have an increased chance of finding their missing pet,” Albrecht says. 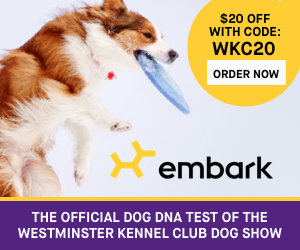 To supplement your eye-catching poster, you also can attach 8.5” x 11” flyers (like the one PawBoost makes for you) that share additional in-depth information about your pet. 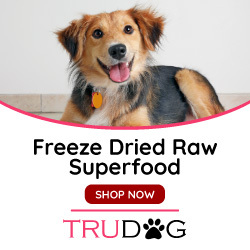 Quick tip: Be sure to purposefully exclude from your descriptions at least one identifying feature about your pet should you need someone to verify that your four-legged best friend has in fact been found. Should I Include a Reward on My Lost Pet Poster? The question of whether to feature a reward is often on the minds of owners as they make their lost pet posters. Albrecht advises against it. The decision to include a reward is ultimately up to you. 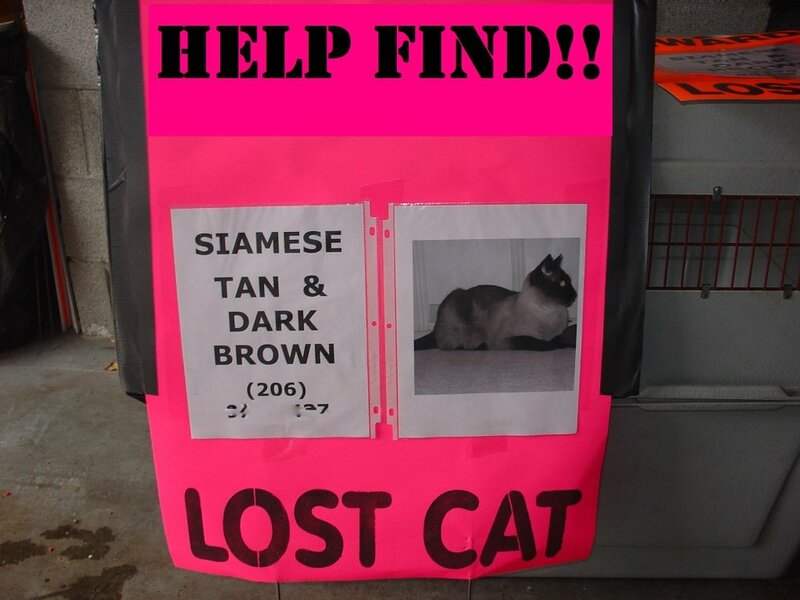 A large reward can certainly attract attention to your missing pet; just keep in mind it might not be the type of attention you’re looking for. Location, Location, Location — Where Should I Place My Posters? Now that you’ve set up your posters with all the important information outlined above, the next step is to plan where to place your posters so that they can work hard to raise awareness in your community. The goal is to increase exposure to your posters. 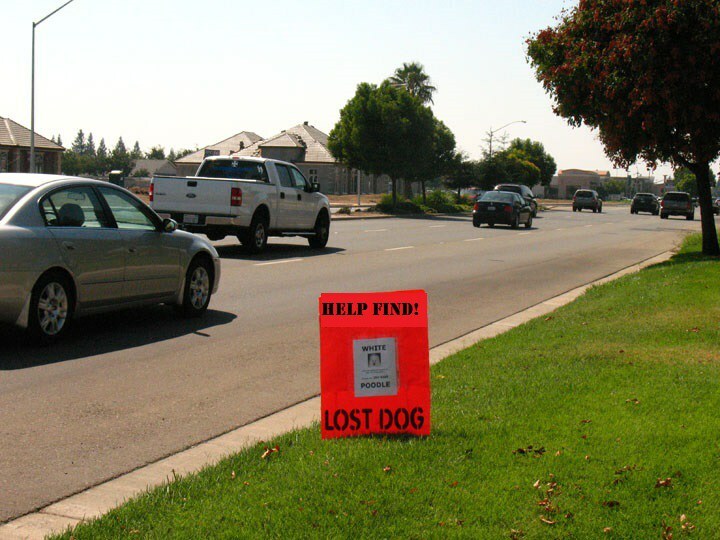 For example, you will likely raise more awareness about your lost pet if you place your missing posters at intersections where cars must stop on the way in or out of your neighborhood or at entrances to freeways commonly used for daily commutes. Though the suggested radius for posting missing posters for dogs is 1-3 miles from the escape point and within a few streets of the escape point for cats, the ideal radius may vary due to pet temperament (skittish dogs, for example, tend to travel further) as well as by length of time the pet has been missing – You will want to start expanding your missing poster range with time as it’s possible your pet could travel further away from the escape point. And, of course, don’t forget to put a poster in front of your home! 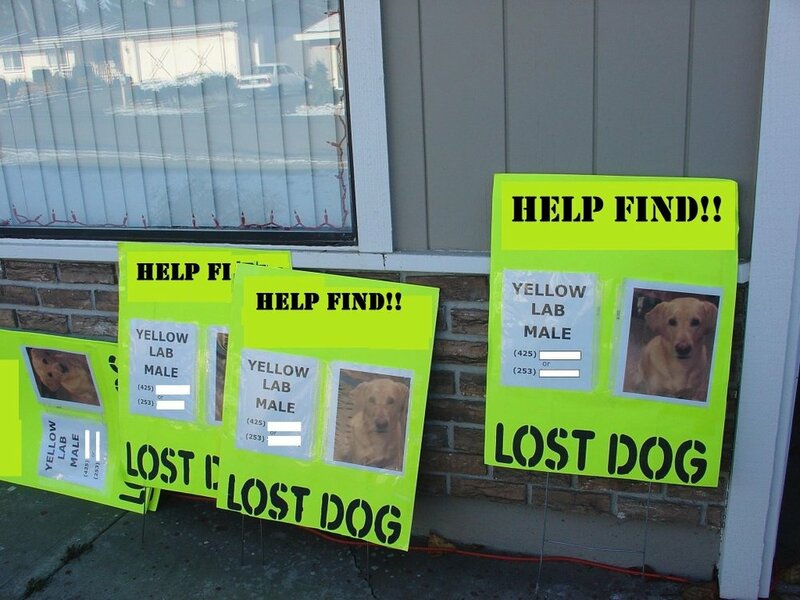 In addition to securely fastening your missing posters in highly trafficked areas, Missing Pet Project also encourages pet owners to conduct “intersection alerts.” Similar to a car wash fundraiser, intersection alerts are likely to attract more attention from drivers because as you and your lost task pet force draw awareness to your search by standing at these intersections and waving your posters. 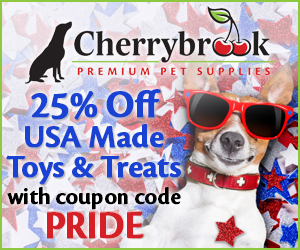 Make sure to report it to PawBoost! It’s free and takes only seconds. Hopefully this article will help you if ever you find your self looking for a lost fur baby.